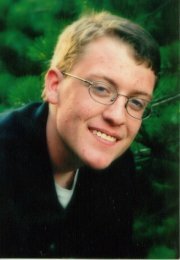 Mark Reeves is a Ph.D candidate at University of North Carolina whose research focuses on the global history of anticolonialism in the 20th century, especially intersections between anticolonialism and various forms of internationalism. He recently visited University of Nigeria, Nsukka library to further embark on his research topic tentatively titled: “Lost Horizons: Anticolonial Internationalism, 1930-1970,” compares the careers of four anticolonialists from different regions: Shukri al-Quwatli (1892-1967), the first president of Syria; V.K. Krishna Menon (1896-1974), the Indian diplomat and Minister of Defense; Carlos Romulo (1898-1985), the journalist and diplomat from the Philippines; and Nnamdi Azikiwe (1902-96), activist editor and first president of Nigeria.” (Click to learn more). 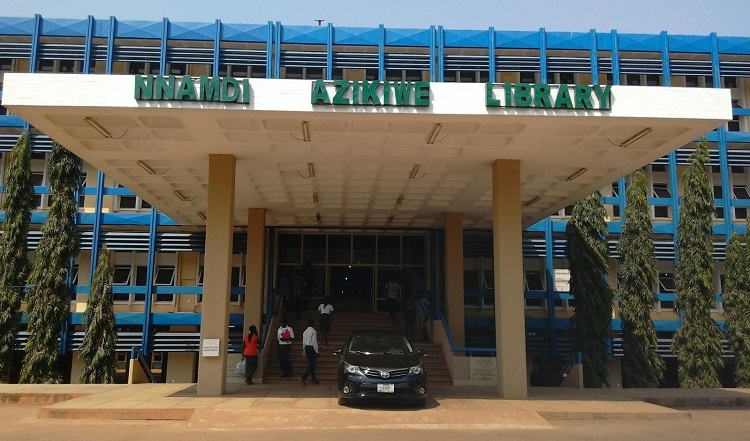 In connection with his research title, he visited the Africana Section of the Library, and paid a special visit to Dr. Nnamdi Azikiwe’s house located at Onuiyi, Nsukka. 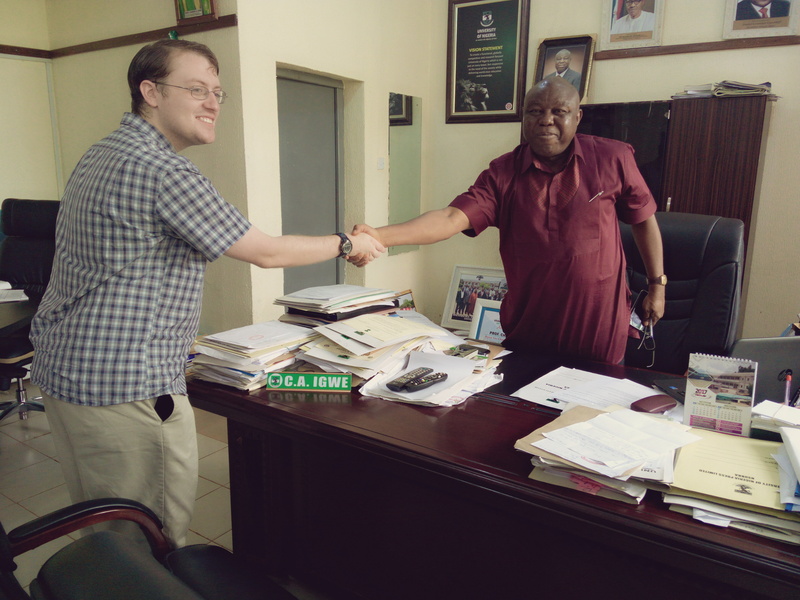 Mark was warmly welcomed by the Deputy Vice Chancellor (Administration), Prof. Charles Igwe. 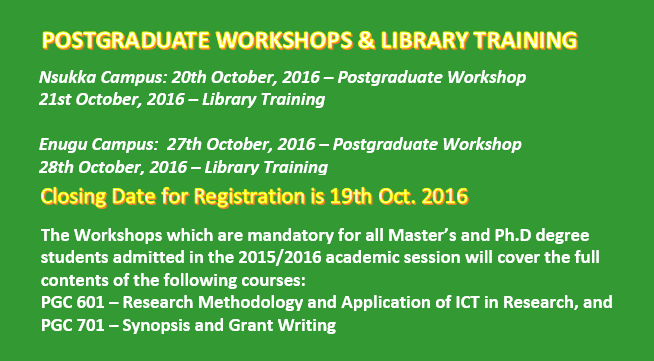 His contact person in the library was Mr. Vincent Ekwelem, Deputy University Librarian (Technical Services). 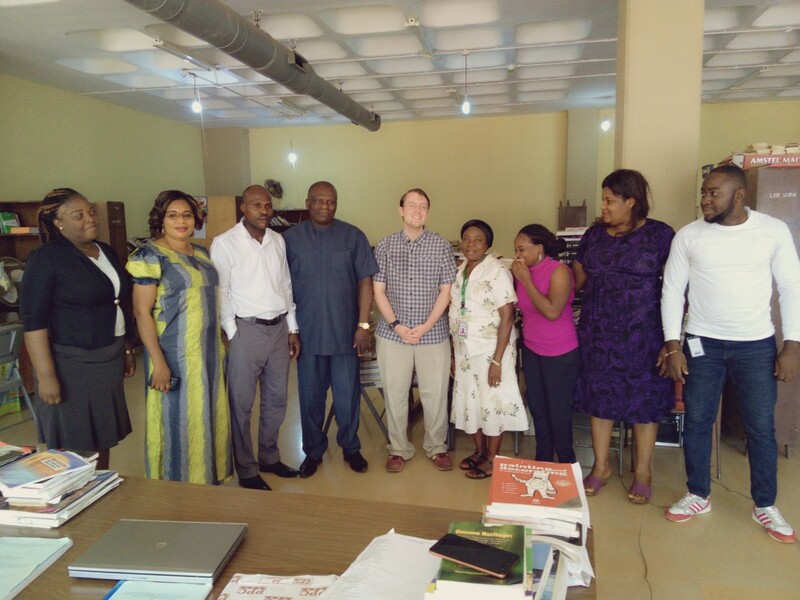 University of Nigeria Nsukka has been conducting online exams for her students and it has been a worthwhile practice for both students and lecturers. Last year, we posted the success story of the GSP examinations and GSP 111 (Use of the Library and Study Skills) was one of such exams (Click here and here for the post links). Our blog post of March 23, 2016 has a video of a student who we interviewed as she shared her experience. Okoh Chizoba testified that the GSP 111 examination was a huge success. 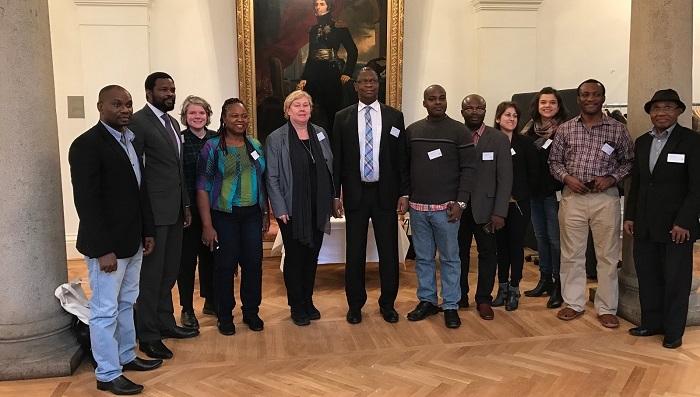 The Administration of Professor Benjamin C. Ozumba (University of Nigeria Nsukka Vice Chancellor) has been working effortlessly to meet up with global standards. The ongoing Computer-Based Examinations at the University of Nigeria Nsukka do not exclude the physically challenged group of students which comprise the hearing/visually impaired, and others. The Library, headed by Professor Chinwe N. Ezeani has created means of enabling these students overcome difficult situations. Thanks to the Physically Challenged Department of the Library and the research group called the SURPLUS PEOPLE. Visit the Library blog for more. 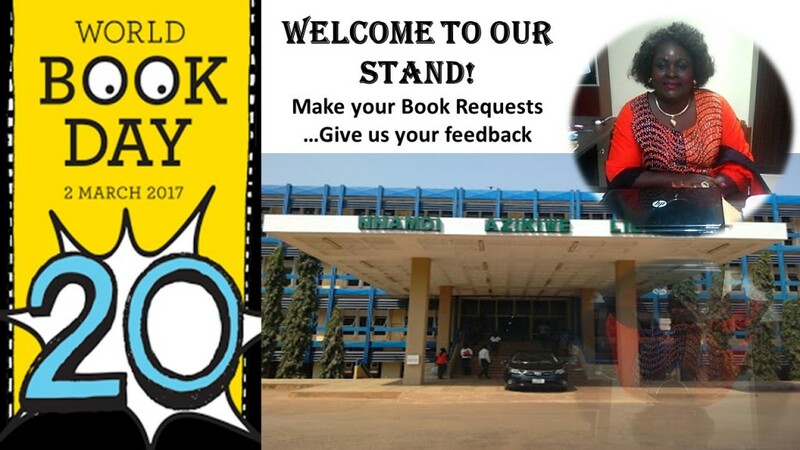 The World Book Day was marked today, 2nd March 2017 in University of Nigeria by the University Library, popularly called ‘Nnamdi Aziwe Library’. The library currently functions under the leadership of Professor Chinwe N. Ezeani – the first female University Librarian of the University. In commemorating the World Book Day, the library organised a display area for students and other readers. Current books and reference materials of varied subjects were selected for display. The event was announced on the library Website, Blog, Facebook and Twitter Pages. It was amazing to see readers flood the display area to view the materials on display. Provision was made for the readers to request for their materials of interest on a register and also leave their feedbacks or comments. Many of the readers gave positive feedbacks concerning the event which will be shared on our blog soon.